The BioLite HomeStove is an efficient biofuel-burning stove for home use. 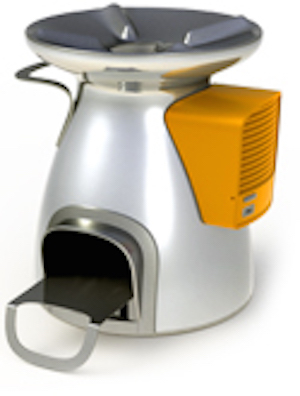 BioLite has created a low-cost biomass cookstove that, by converting waste heat into electricity, reduces smoke emissions by up to 95%. The BioLite HomeStove simultaneously provides users with the capability to charge mobile phones and LED lights via a USB charging port. The BioLite HomeStove uses 50% less wood than traditional wood-burning stoves. The HomeStove is currently not available for individual retail purchase. The HomeStove distribution is presently focused on developing markets. BioLite is currently in their pilot year of large-scale commercial testing in India, Ghana, and Uganda.